University of California-Los Angeles (UCLA) “study finds that yoga and meditation can help minimize cognitive impairment”, according to UCLA release issued on May 10. To reduce risk for Alzheimer’s, skip Lumosity (games claiming to improve memory, etc.) and get onto the yoga mat, this study by UCLA-led team of neuroscientists and funded by the Alzheimer’s Research and Prevention Foundation, adds in the release.. It further says: “If you or your relatives are trying to improve your memory or offset the risk for developing memory loss or dementia, a regular practice of yoga and meditation could be a simple, safe and low-cost solution to improving your brain fitness”. Distinguished Hindu statesman Rajan Zed, in a statement in Chicago today, called the UCLA looking into the usage of multi-faceted yoga to combat Alzheimer’s “a step in the positive direction”. 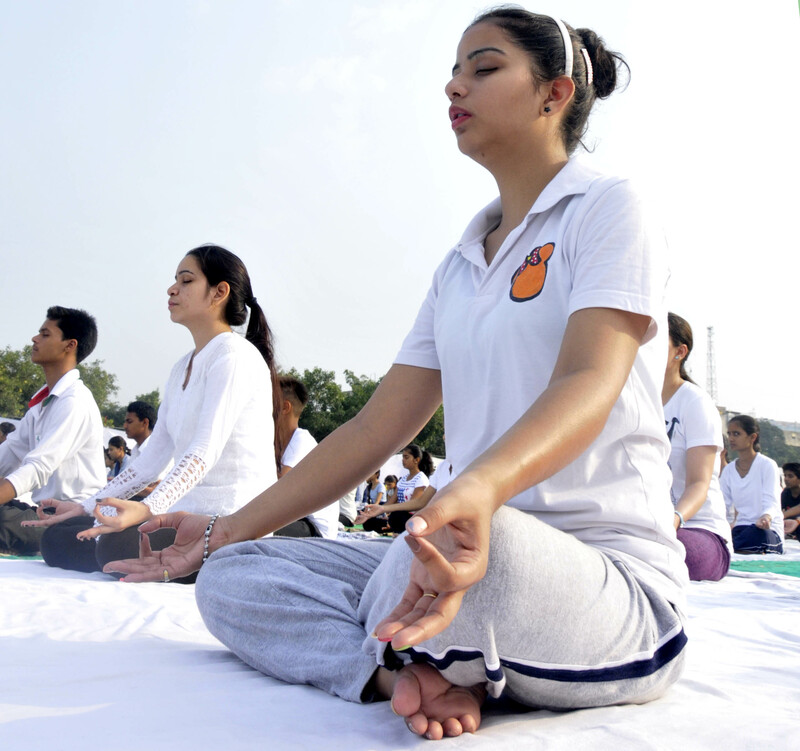 Zed urged all major world universities to explore various benefits yoga offers. UCLA claims to be “known worldwide for the breadth and quality of its academic, research, health care, cultural, continuing education and athletics programs”.